Dear EarthTalk: American farmers are an aging population. Is anyone doing anything to make sure younger people are taking up this profession in large enough numbers to keep at least some of our food production domestic? -- Beverly Smith, Milwaukee, Wisc. Indeed American farmers as a whole are an aging group today as young people gravitate more towards virtual realities than tilling in the soil. 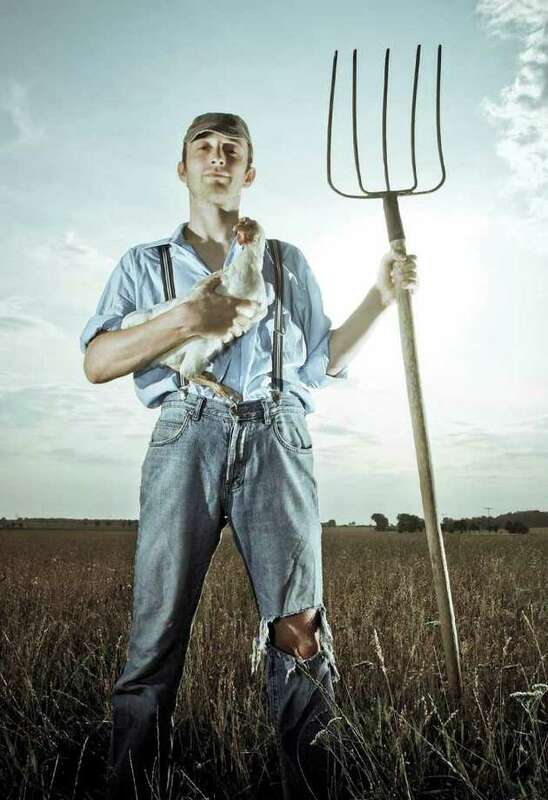 The National Young Farmers' Coalition reports that the total number of American farmers has declined from more than 6 million in 1910 to a little more than 2 million today, and that for each farmer under the age of 35 there are now six over 65. With the average age of U.S. farmers now at 57, one quarter (500,000) of all American farmers will retire over the next two decades. U.S. Secretary of Agriculture Tom Vilsack is calling for hundreds of thousands of new farmers nationwide, but convincing young people to take up farming remains a hard sell. NYFC would like to see action at the local, state and federal levels to help beginning farmers. "At the local level, communities can create market opportunities for farmers by starting Community Supported Agriculture groups and shopping at farmers markets, as well as protecting existing farmland through zoning and the purchase of development rights," the NYFC states. "The future of family farming and ranching in America -- and the viability of our nation's food supply -- depends upon removing existing obstacles to entry into farming so that more people can start to farm," stated the National Sustainable Agriculture Coalition, another backer of the proposed legislation. "This bill encompasses a national strategy for addressing those barriers, focusing on the issues that consistently rank as the greatest challenges for beginning producers." Backers of the bill warn that, at a cost of just a fraction of one percent of the U.S. Department of Agriculture's budget, the nation can't afford not to pass the bill given its potential long-term benefits to both our food supply and trade deficit. "We're not just a few people spread across the country, we're a well organized, politically active group that can be documented," she said. "We know who our senators and representatives are, we vote, and our friends and families vote. We need USDA and government support to succeed and we're going to let the nation know that." Dear EarthTalk: I can't seem to find any natural bug repellents that really work so I end up using the harsh, chemical varieties. Are there any really effective bug repellents that aren't chemically based, or other strategies we can use to keep bugs at bay? -- Melissa Armantine, New Paltz, N.Y. While the industry standard insect repellents rely on the insecticide DEET to keep bugs at bay, many environmental and public health advocates worry that regular long-term exposure to even small amounts of the chemical can negatively affect the human nervous system. The U.S. Environmental Protection Agency reports that, in studies, DEET has been shown to be "of low acute toxicity," although it can irritate the eyes, mouth and skin. The EPA concluded after a comprehensive 1998 assessment that DEET does not present a health risk as long as consumers follow label directions and take proper precautions. And since nothing works quite as well as DEET in deterring disease-carrying ticks and mosquitoes, the Centers for Disease Control is relatively bullish on its use in order to reduce incidences of Lyme disease, encephalitis and other insect-borne diseases. Regardless, many consumers would prefer natural alternatives, and there are several companies already selling DEET-free insect repellents, many of which use essential oils as their active ingredients. WebMD reports that soy-based repellent formulas (such as Bite Blocker for Kids) are the most effective substitutes for DEET, usually lasting for 90 minutes, which is longer than some low-concentration DEET formulas. Some other leading alternative repellents include All Terrain's Herbal Armor, Quantum Health's Buzz Away Extreme, Lakon Herbals Bygone Bugz, and California Baby's Natural Bug Blend Repellent. WebMD adds that, despite popular opinion, products containing citronella are not the best non-chemical choice, as their effectiveness typically wanes within an hour. Likewise, peppermint oil and some other plant-based oils are also effective as insect repellents. Even venerable Avon Skin-So-Soft bath oil, long thought to deter pests as well as DEET, only keeps mosquitoes away for up to a half hour. Beyond repellents, there are many other ways to keep pests away. For one, avoid floral fragrances from perfume, deodorant or other sources that can attract mosquitoes and other bugs. The EarthEasy website recommends eliminating standing water around your home to keep mosquito breeding at bay. Bird baths, wading pools and pet water bowls should be changed at least twice a week; also make sure your gutters are draining properly. Also, since mosquitoes are attracted by carbon dioxide released from campfires and barbecue grills, EarthEasy recommends throwing sage or rosemary on the coals to repel the mosquitoes. If all else fails and DEET is your only option, use it sparingly. The American Academy of Pediatrics recommends using repellents with no more than a 30 percent concentration of DEET for kids over two-months old (and no repellent for younger babies). Keep in mind that formulas with lower concentrations of DEET may work just as well as others but not for as long. A 10 percent DEET concentration, for instance, should work for up to two hours outside. Applying DEET-based bug spray to your clothing instead of skin can help minimize any negative effects of exposure. Also, kids and grown-ups alike should wash off any DEET-based repellents when they are "out of the woods" so to speak. Contacts: EPA DEET Fact Sheet, www.epa.gov/opp00001/factsheets/chemicals/deet.htm; CDC Insect Repellent Use & Safety, www.cdc.gov/ncidod/dvbid/westnile/qa/insect_repellent.htm; EarthEasy, www.eartheasy.com; American Academy of Pediatrics, www.aap.org; WebMD, www.webmd.com.